Ayer Rajah is located at the South-West part of Singapore, District 05. 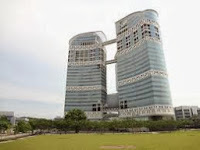 Ayer Rajah comprises Industrial estate primarily used for business rental and sale. Nearest MRT is One-north MRT Station (CC23). Ayer Rajah is close to MRT, a bus interchange, shopping centers and restaurants. It is well accessible via North Buona Vista Road, South Buona Vista Road and Ayer Rajah Expressway. Ayer Rajah is near to several restaurants located near Jew Kit Food Court at 69 Ayer Rajah Crescent and JTC Canteen. Ayer Rajah is also close to Market Place Supermarket. Holland Road Shopping Center is just a drive away where you can go grocery, shopping, banks and more.